I trashed my Macbook Pro today! Today I had to bin my oldest Apple product that I ever purchased. This was my old 15 inch Macbook Pro from way back in 2009. This was the machine that I started editing my videos on and it was such a joy when I first purchased it. However as time passed it got slower and I dropped it a couple of times and had to replace the WiFi chip as that wasn't working, then the screen had to be fixed as the hinges had come off because of the fall and then the battery was damaged and it would only stay on as long as the power cord was plugged in! So I took out the old hard drive and the old memory chips that I had upgraded on this machine and decided to bin it. It was a whole lot of fun while it lasted! Last night, I finally finished editing my latest short film and uploaded it to my YouTube channel. It took me 3 weeks to make this. Its still considered a long time frame to make a 5 minute short but then I had to re-shoot quite a lot and also I could only shoot after sunset even though the entire story is indoors. What I am trying to achieve is to make a mini-series around the plot that I have started. So this was episode one and I need to think of ideas to expand the storyline. I reckon this will be easier than thinking about a new plot all the time like I have done in the past. One big difference is that I have done the dialogues in Hindi and the reason behind that was purely personal. I always wanted to make something in my language. The end goal before this year ends still stands, I want to get 500 Subscribers, so let's see if I am able to achieve that!! Finally completed - A new short film! After over a month since I posted that I was making a short, I finally managed to complete it last night and upload it on my YouTube channel. The challenge was mainly with the availability of my other actor. She managed to give me some time and shoot her piece of the work! So now that this has been completed it's time to think about a new idea! This phase will pass and some month's down the line we will forget all this ever happened and get on with sharing information like we always do. If I can speak for myself, I had deleted the Facebook app from my phone some month's back, not because I wanted to stop them from spying on me but I just found myself randomly scrolling and looking at people's life without any aim and that got to me. its not that i don't use Facebook anymore, I do but ever since i have got it off my phone, I noticed I am not that interested anymore. Like they say out of sight, out of mind! So if you want to know how much Facebook knows about you, here is what you can do. 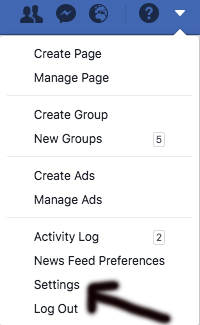 Open your Facebook account on a computer and click on settings on the top right and download your Facebook archive and have a look at that. The most disturbing thing I found out that, they have all the phone numbers of my contact list on my phone! (Now imagine that being exploited by someone). Like I have said earlier in this post, we all have been compromised the moment we signed up for using the internet and now its all in the open! Here is how you download your Facebook archive..
Also, while you are at this try and have a look at all the APPS that have access to your Facebook profile and if you think some of them don't really need access, then remove them so that going forward they will not be able to get your information, although they already have what they need!